Thursday, Nov 29, 2018, Patna- We would like to share a memorable visit of Dr Mukesh Kumar, Founder and Director of Panchmukhi Air & Train Ambulance Services Pvt Ltd., at Big F.M Patna Studio. In a marvellous radio conversation, the entrepreneur discussed his upcoming E-ICU and Tele-Health project aimed to facilitate tier-2, tier-3 and even remote villages of the country with highly qualified Doctors of Metros. In a radio program of Big F.M called ‘Hello Doctor’, he shared his thoughts and vision with the RJ. Surbhi. He outlined how poor health facilities in tier-2 and tier-3 cities compel people to move to metros for availing better treatments. As per Director, E-ICU or Tele-Medicine Service is the future of the treatment and has vast scope to expand into a fully functional wing in Medical Industry. The concept is unique as by the help of high-resolution digital camera a Doctor in Delhi can see and analyze the health condition of the patient in a remote location of Bihar or U.P. We all know about the pathetic condition of hospitals in tier-2 cities of India. It’s a highly optimistic project of Panchmukhi Global E- ICU which will change the definition of critical care patient management and would be an enhancement and supplement to the existing intensive care unit. In fact, it would allow us to leverage the advantage of existing infrastructure and human resource to render ultimate patient care. While elaborating the concept he outlined the dismal Doctor and Patient ratio in India. He said, WHO prescribed ration is 1:1000 but the reality is far away. As per Indian Journal of Public Health, India needs 2070000 Doctors by 2030. We have to look for the alternative method to treat the population in the outer most peripheries of India. E-ICU or Tele-Medicine is a promising idea to short out this problem. Highlighting the other benefits of his project he said that his telemedicine facilities would be available at extremely low cost so that wider section of the society could avail the benefits. It would save the cost of transportation. Existing Intensive Care unit of local hospitals would be connected with the control and command centre in Delhi from where patients shall be monitored 24*7. Modern CNS system is capable of analyzing patient health-related data and can signal an alarm to the control and command centre for providing immediate attention to the patient in ICU. Patient’s reports such as X-Ray, Sonogram and blood and urine etc can be shared and examined via scanners and different means of Information Technology. E-ICU services will create more jobs for health care professionals, Information Technology technicians and other people in the field. It would definitely decrease the mortality rate in remote areas of the country where thousands of people losses their life every year. Panchmukhi E-ICU or Tele-Medicine shall bring quality treatments and ultimate patient care at your location. 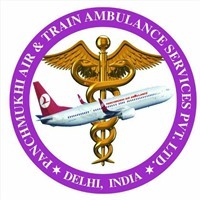 Panchmukhi Global E-ICU is a brand of Panchmukhi Air & Train Ambulance Services Pvt Ltd. It is a leading and emerging brand in Tele-Medicine industry run and managed by Dr. Mukesh Kumar, MBBS, MD, Dr. Pradeep Kr., MBBS,MD and many other doctors from top most hospitals of Delhi like APOLLO, GANGARAM, BL KAPOOR, FORTIS AND MAX HOSPITALS DELHI.